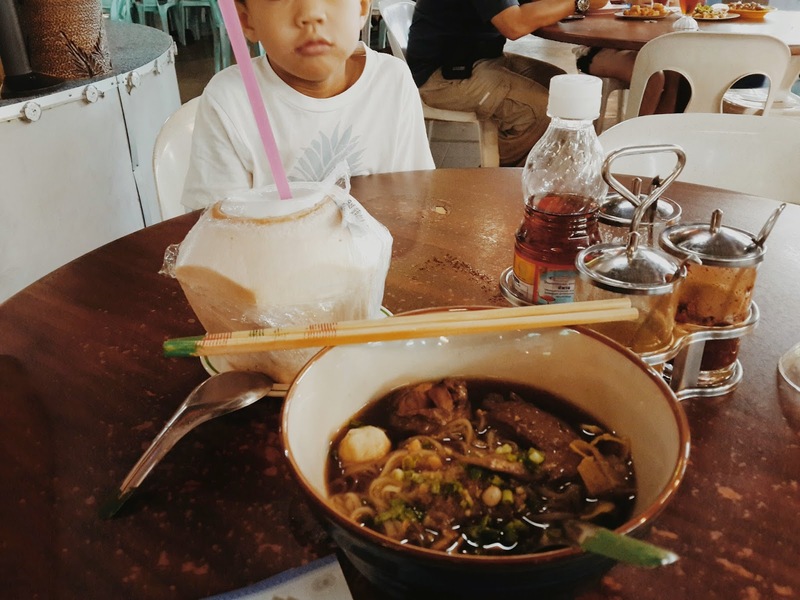 Having read this rave review about Thai boat noodles on Eve's blog, we decided to drop by on a weekend. 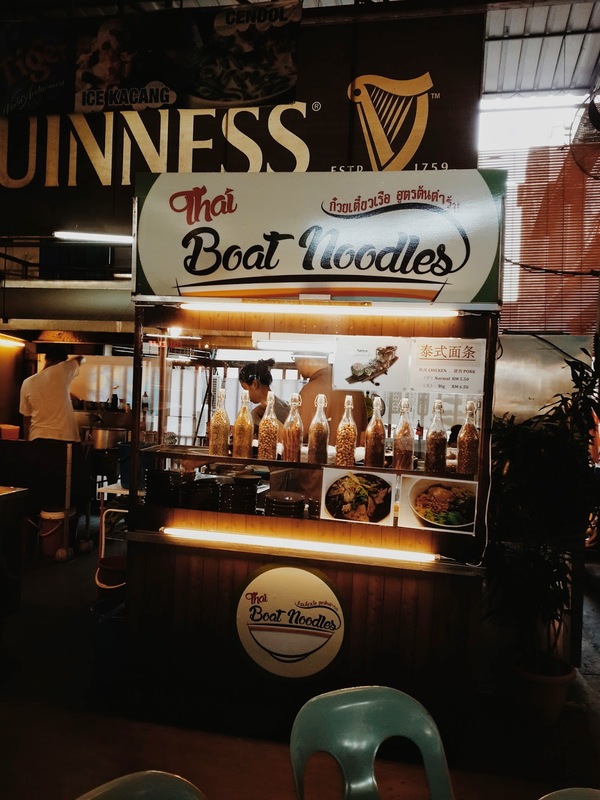 Boat noodles, in Bangkok, are traditionally served in a bowl with minute portions because back then, it wasn't easy eating piping hot noodles in a broth filled bowl on a swaying boat. Don't be surprised if you end up eating more than 5 bowls at a go because the portions are seriously tiny! The Thai boat noodles at the CF Food Court close by Weld Quay, serves them in a decent portion for RM6.50 with a generous serving of either chicken or pork. Eve told us to go for the chicken so we heeded her advice and she was right! The chicken drumstick was so tender, the meat was literally falling off the bone. The soup was very tasty and fragrant, for some reason - it reminded us of beef noodle soup. Bubs enjoyed this and didn't need any further encouragement to polish his off.